Home » Science » What do you call a force that opposes the relative lateral motion of two solid surfaces in contact? » What do you call a force that opposes the relative lateral motion of two solid surfaces in contact? 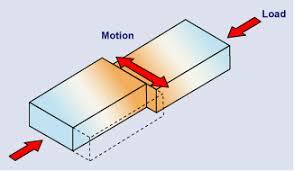 What do you call a force that opposes the relative lateral motion of two solid surfaces in contact?